Formally Gardner Street Neighborhood Park Isabella Cannon Park was renamed to honor Raleigh"s only female mayor, Isabella Cannon. 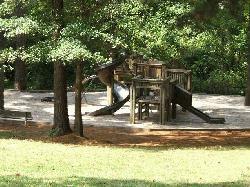 The park master plan was adopted in 2009 and construction began in February 2011. Following the removal of aged lighting and fencing, new construction includes an expanded playground and picnic area, rock climbing play area, new pavilion/picnic shelter and new trail system throughout the park.